Understanding and adhering to safe welding procedures and correctly using and maintaining the best quality welding equipment and PPE is critical in managing the risks of this complex and potentially hazardous application. The Manager of Education and Training at the Welding Technology Institute of Australia (WTIA), Glen Allan, told ProChoice that it is essential that welders and their supervisors are appropriately educated, qualified and use the best equipment and PPE available. “People must be trained. They have to know and follow the correct safety protocols,” Allan said. Allan described some typical welding dangers as electrocution (electric shock causing death), fires and explosions, ultraviolet and infrared radiation burns, burns from weld spatter and the inhalation of toxic and sometimes carcinogenic fumes. “A safety assessment is required to decide what level of safety management needs to be in place,” he said. “Electrocution from welding equipment has killed too many people in Australia over the past two decades, with more deaths from fires and explosions resulting from hot work incidents,” Allan said, adding that some non-lethal dangers include contact burns, arc flash and radiation burns from ultraviolet and infrared exposure. Less obvious dangers include UV radiation, toxic fumes and electric shock with electrocution the potentially tragic outcome. 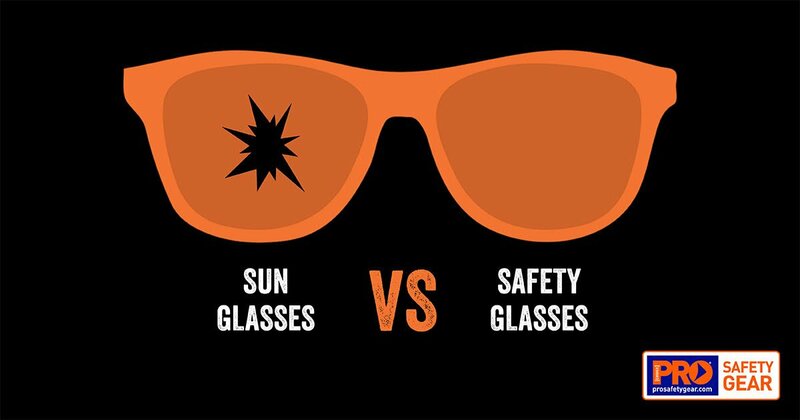 “If you are not protected against UV you will end up with skin damage similar to severe sunburn. A few days later you will be watching your skin peeling off,” Allan said, stating that full body coverage using industrial clothing and PPE is essential, with flame retardant clothing recommended. Further dangers come from toxic and sometimes carcinogenic fumes released when welding some metals, or metal with coatings such as paints, solvents, oils and lubricants. Recommended OHS equipment includes filtered ventilation systems and the use of an air-fed helmet. For eye protection, Allan said the level of protection required depended on the intensity of the arc, the subject distance from the arc and the exposure time. “Someone standing two metres away would need a lower level of protection than the welder,” he said, adding that Australian Standard AS 1336 has a table providing guidance. Allan said it is often also necessary to wear protective eyewear under a welding mask, especially for applications when the shield is often raised, such as chipping and grinding. Safety gloves should be heat, molten metal and cut resistant and boots should not have conductive parts in the soles. Allan said all personal protective equipment should be maintained in good condition and meet or exceed Australian Standards. “For a lot of the welding hazards, the first and only protection against injury is PPE,” Allan said, referring to the hierarchy of control where PPE is the lowest ranking control measure. “I’ve done many audits on PPE… not all suppliers sell products that meet Australian safety standards,” Allan said. However he said that the right equipment used outside its rated capacity or intended use may still be dangerous and that a thorough risk assessment as part of a health and safety policy is essential. “There have been significant improvements in equipment and processes in the past few years but people need to be aware of current requirements,” Allan said, adding that WTIA supports the welding industry through published technical notes, on-line guidance notes, training, seminars and direct assistance with developing and implementation of safety management systems. AS/NZS 60079: (series) Explosive atmospheres and AS/NZS 61241.10: Electrical apparatus for use in the presence of combustible dust – classification of areas where combustible dusts are or may bepresent. AS/NZS 1270: Acoustics – Hearing protectors and AS/NZS 1269.3: Occupational noise management – Hearing protector program. AS/NZS 1338: (series) Filters for eye protectors, AS/NZS 1338.1: Filters for eye protectors – Filters for protection against radiation generated in welding and allied operations and AS/NZS 1336: Recommended practices for occupational eye protection and AS/NZS 1337: Eye protectors for industrial applications. AS/NZS 2210: (series) Occupational protective footwear and AS/NZS 2210.1: Safety, protective and occupational footwear – Guide to selection, care and use. AS/NZS 2161: (series) Occupational protective gloves. AS/NZS 4502: (series) Methods for evaluating clothing for protection against heat and fire. AS/NZS 3957: Light-transmitting screens and curtains for welding operations. AS/NZS 1716: Respiratory protective devices and be selected in accordance with AS/NZS 1715: Selection, use and maintenance of respiratory protective equipment. as well as WTIA’s Technical Note 7: Health and Safety in Welding and Technical Note 22: Welding Electrical Safety.